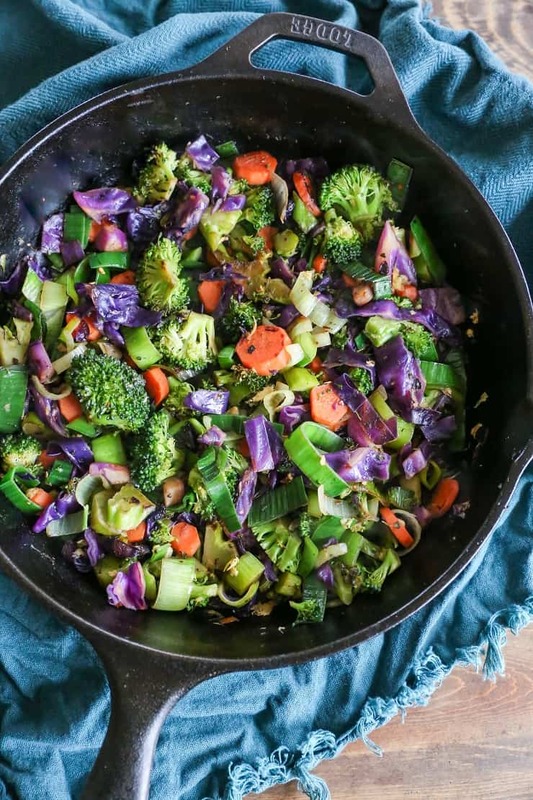 Quick and simple stir fry vegetables. This colorful medley of carrots, broccoli, cabbage, leek, and ginger is a great side dish to any main entree. Whip it up in just 20 minutes! 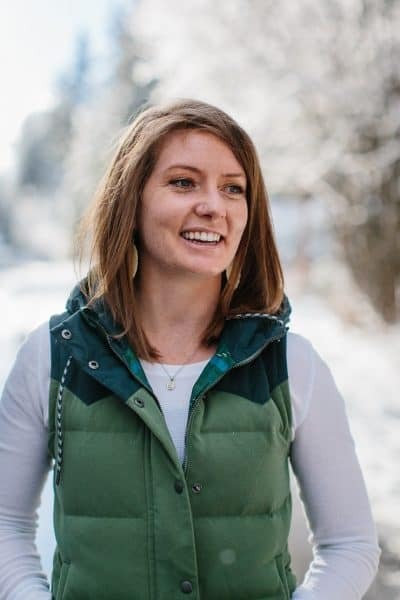 I debated for a minute (actually, 10 days) about whether or not I wanted to post this recipe, because it’s so silly-simple; but, then I observed my own obsessive magnetic pull towards it and decided it needed to be shared. While I definitely post recipes that aren’t necessarily staples in my household for the sake of variety (and – let’s face it – appealing to the masses), I am always so happy to provide dishes that are utterly authentic to my life… recipes that sooth my body and soul.. that I’m confident you will absolutely love too. This to say, one of the leaves I find myself turning over time and again is to share more food that exemplifies my food philosophy. Recipes like this are what I consume nearly daily. 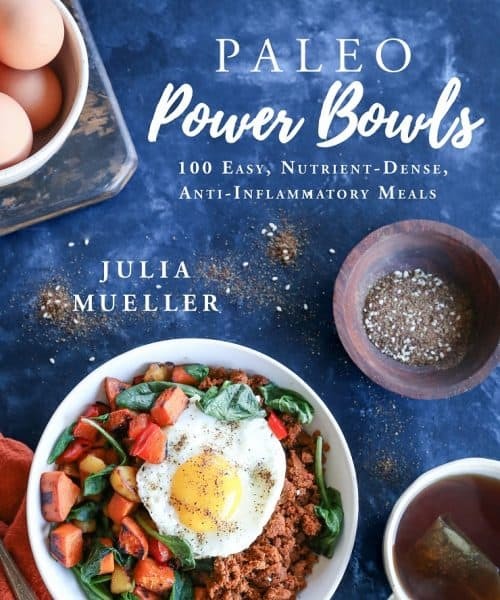 This is one of those all-star dishes that is always relevant to me regardless of whether I’m three sheets to the wind eating all the paleo cookies in sight, or being more mindful with my food intake. 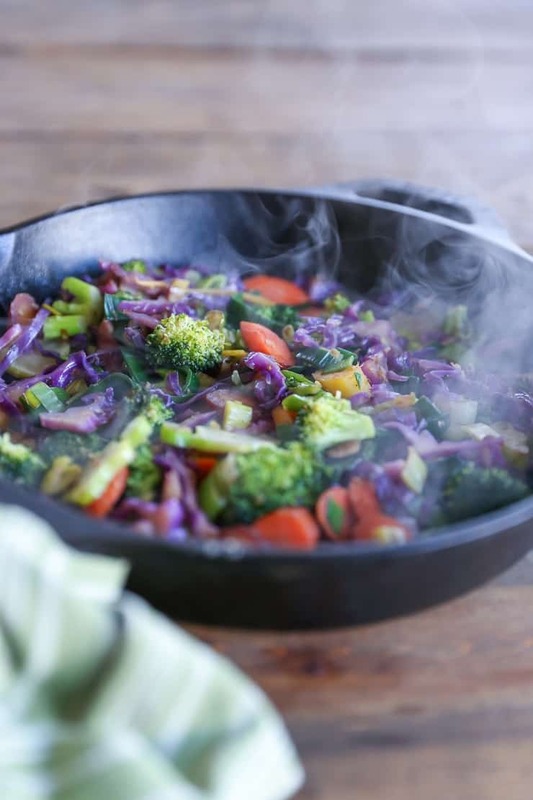 SO what goes into this easy AF, amazingly nourishing skillet o’ veg? Color! For this edition, I use carrots, broccoli, cabbage, leek, ginger, and coconut aminos for a tummy-pleasing rock star of a side dish (slash all-out meal if you’re like me and volume eat your veggies). 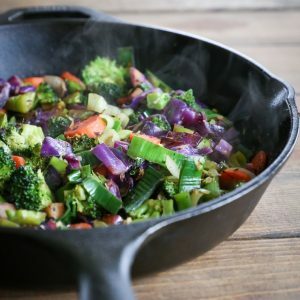 My go-to technique is to cook the vegetables in ghee in my cast iron skillet, but as always, there’s plenty of wriggle room here – you can use coconut oil or your favorite cooking oil and your trusty non-stick skillet. From start-to-finish, the prepping and cooking of this dish takes me about 20 minutes, and I usually throw it together after a workout for lunch. Lately, I’ve been eating this entire batch (I kid you not…the entire batch) with broiled salmon. For me, broiled salmon is not only one of the most delicious things I can possibly put in my mouth, but it’s also my go-to source of omega-3 fats, great protein, AND it only takes 10 minutes to broil. I broil the salmon while the vegetables are cooking, which results in an incredibly nutrient-dense well-balanced meal DONE in 20 minutes. You can pair this dish with any of your favorite meat entrees, or stick it in a bowl with black beans and brown rice for a meatless vegetarian version. I hope you love these veggies as much as I do, and feel free to let me know what you think if you make them! 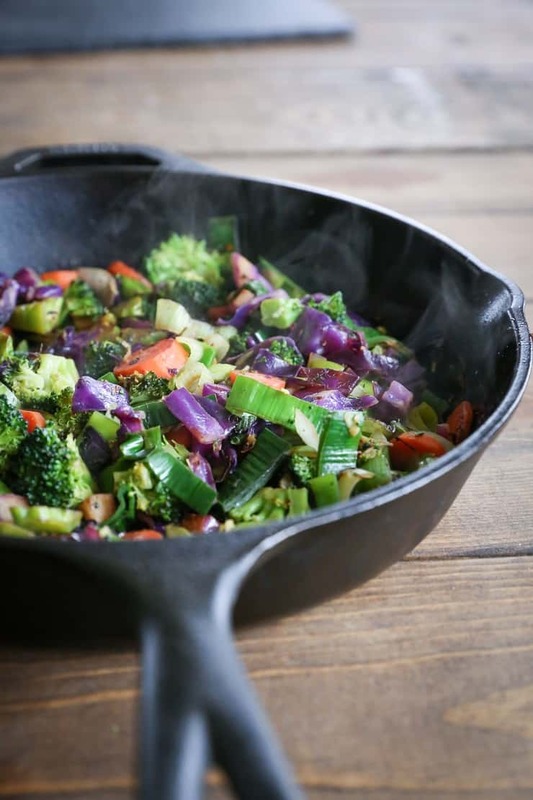 Heat the ghee (or oil) over medium high in a cast iron skillet (or skillet of choice). Add the carrot, broccoli, and cabbage. Stir well and then cover. Cook, stirring occasionally, 5 minutes. Remove cover and add remaining ingredients. Replace cover and cook an additional 2 to 3 minutes, stirring occasionally, until vegetables reach desired doneness. Serve vegetables with your favorite entree. I’m often hesitant to post the day-in-and-day-out stuff on the blog because I think it’s too boring or whatever, but when I do, I’m surprised that they’re well received! I love a good stir fry because it’s an awesome (and delicious!) way to eat a bunch of veggies and a rainbow at that. I love the kick of red pepper flakes and ginger and I could definitely eat this every day! SOOOO EASY and quick and soooo good! Will be my new “go to” now, too! Thanks for being g so REAL and down to Earth! YOU ARE AWESOME 👏🏻. A good reminder that one doesn’t have to make complex dishes every night to have delicious food. Thanks for posting! I always debate about whether or not to post the things I make all the time! haha I hear you!! ANYWAY. I could seriously eat that whole skillet by myself. YES to all the veggies!! I made this today for lunch as an entrée. I thoroughly rinsed a can of black beans and added them to the cooked vegetables and served it over rice. Absolutely delicious!! We are new vegetarians so it was nice to find something this tasty.